Recent developments in the science of genetics and certain accompanying technologies such as genetic screening techniques and gene therapy present great promise for the prevention and possible cure of “genetic-based” diseases. However, genetic science is still at the frontier in gaining knowledge about gene mechanisms and manifestations and there are many uncertainties associated with any application of genetic technologies in the human context. There is, in fact, mounting evidence that any deterministic, linear, and unique causality model is inadequate to the complexity and flexibility of human genetic mechanisms. The general lack of understanding by the public and the tendency to great over-expectation concerning the promise of genetic technologies makes the ethical and public policy issues surrounding the use of genetic knowledge of crucial importance. 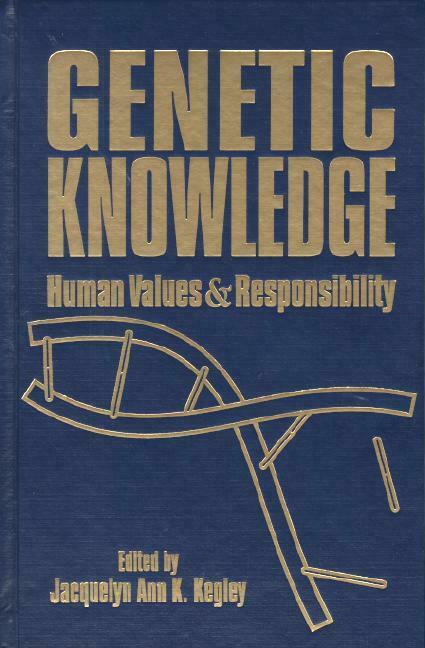 The volume addresses the many value, scientific, and public policy issues surrounding the use of genetic knowledge. Important questions are raised about the definitions of “health” and “disease”; “personhood” and “family.” Ethical and legal issues concerning individual right and responsibility versus communal good and responsibility; concerning discrimination, stigmatization and the right of privacy are discussed. Issues include ethic and ethos of responsibility such as the notion of responsible, preventive medicine; genetic carrier responsibility, responsibility for family and for future generations. The perspective is interdisciplinary and multi-cultural. Section II: The Concepts of “Genetic Health” and “Genetic Disease”: Do They Make Sense? Reductionism in Medicine? : Genetification of Concepts of Health and Disease? Treatment of Genetic Disease: Who is the Patient? DR. JACQUELYN ANN K. KEGLEY is Professor of Philosophy at California State University, Bakersfield, where she was named CSUB outstanding professor and the CSU system-wide professor in 1988. She received the University Leadership and Service Award in 1997. Dr. Kegley has lectured and presented material at International Conferences and has published over forty articles, edited three books, co-authored An Introduction to Logic, and authored Genuine Individuals and Genuine Communities (Vanderbilt University Press, 1997).